Glitter leaves. Oranges and browns. Family-themed stickers. Sequins used to mark important monthly happenings. 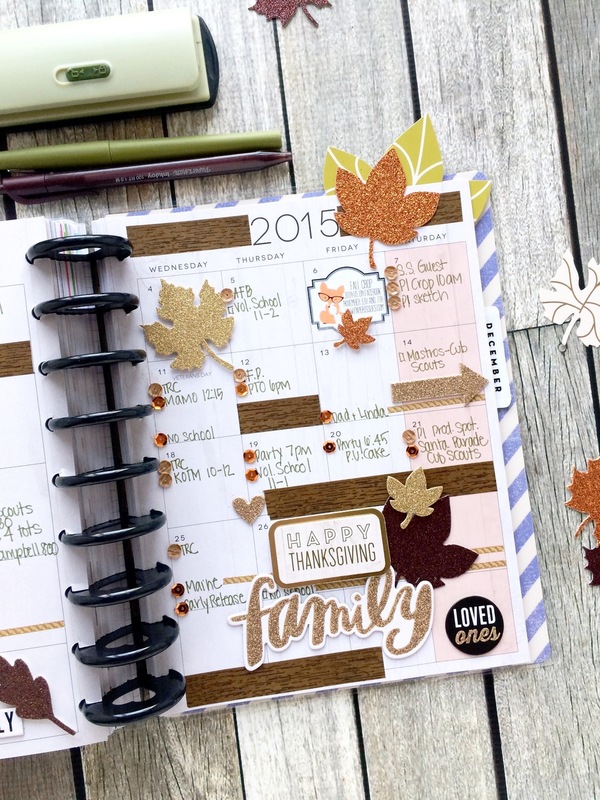 All this fun must be the November monthly pages in The Happy Planner ™ of mambi Design Team member Mary-Ann Maldonado! "November 9th already?! Time has been slipping by so fast recently. 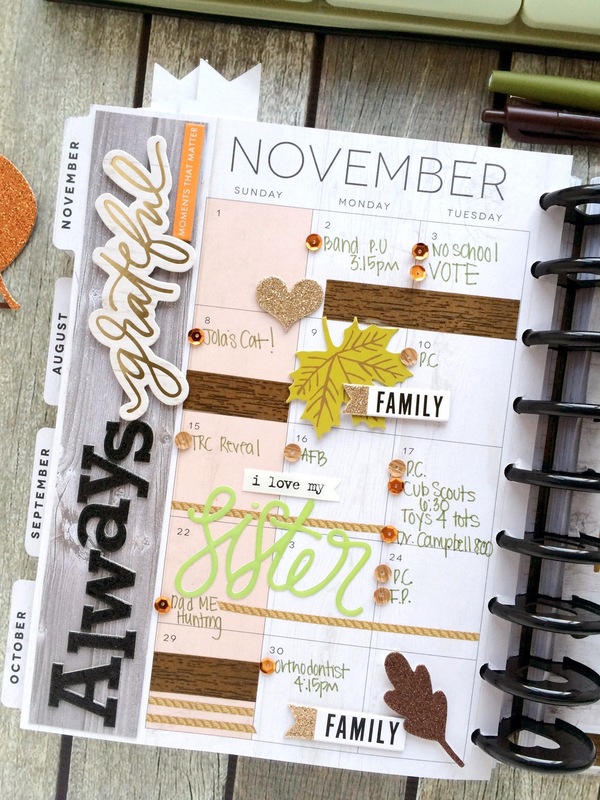 For me, November is a month of spending time with family, reflecting, and being grateful. 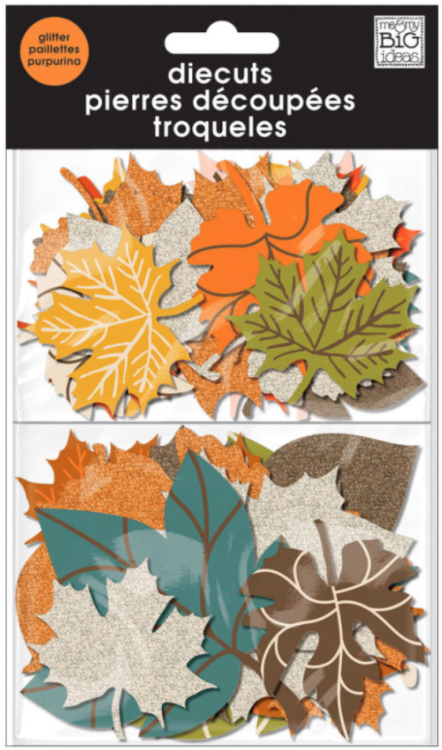 Grateful for my family, my home, my blessings...grateful for the opportunity to create with such pretty product... And speaking of pretty, how about those glittery leaves?! The larger ones are from an oldie by goodie die cuts pack and the smaller are brand new 'Give Thanks' mambiSTICKS stickers. The 'Happily Grateful' insert between my photos is where I will make notes. The back is completely blank, making it the best place for jotting stuff down that may not look so pretty in my planner. It comes from the 'Home Sweet Home' Frame & Craft elements pad, along with the woodgrain paper you see to the left side. 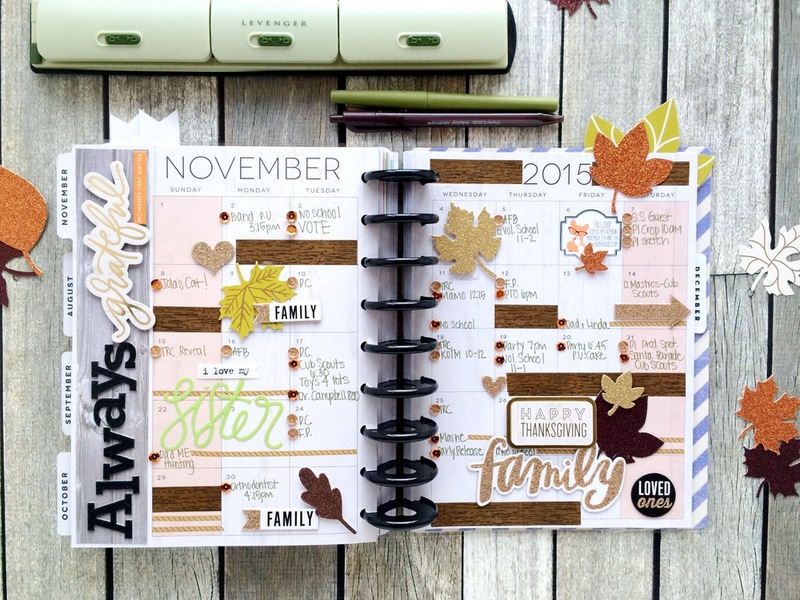 For this layout, I also added random 'Family' mambiCHIPS stickers with alphaCHIPS to create my family/thankful theme." Shop supplies Mary-Ann used on these pages by clicking on the items below.